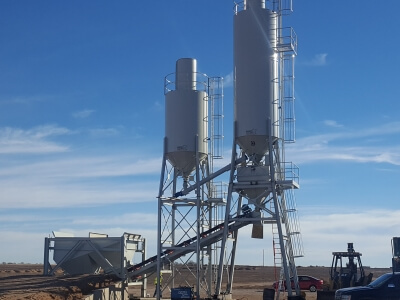 FESCO Direct is a full-service dealer for all sizes and types of concrete batch plants, both new and used, from some of the top names in the industry. We offer both accumulative weighing and decumulative weighing plants for ready mix and precast operations. We also supply turnkey plant installation and supervision of plant installation, as well as maintenance, batching plant parts and troubleshooting services. The traditional ready mix concrete plant offering maximum material storage capacity. Frequently enclosed – operate seamlessly through all weather conditions. 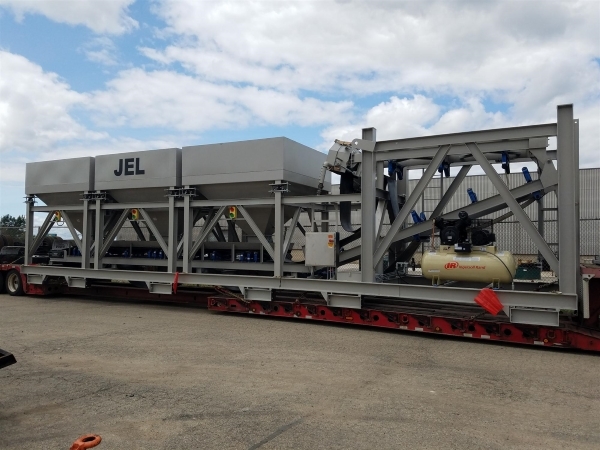 All standard concrete batch plants manufactured by JEL Concrete Plants may be fully customized to the specifications of the job at hand. 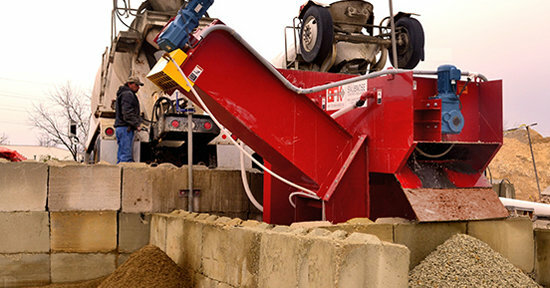 High-speed concrete batching and low-profile design. Simultaneous weighing provides for faster batching and a pre-blending of aggregates resulting in a more homogenous mix. 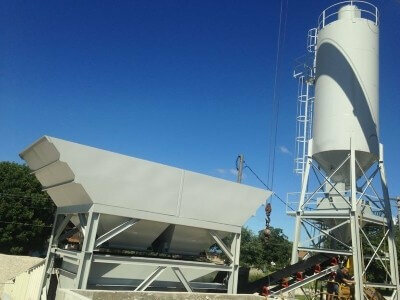 Produce more with the custom-built ready mix decumulative weighing concrete plant. The perfect entry-level or satellite plant. Start with a small, low cost & low production plant and with its expansion capabilities grow into higher production right along with your business. Begin with a budget batch and hit the ground running. Customized to your building and operation. 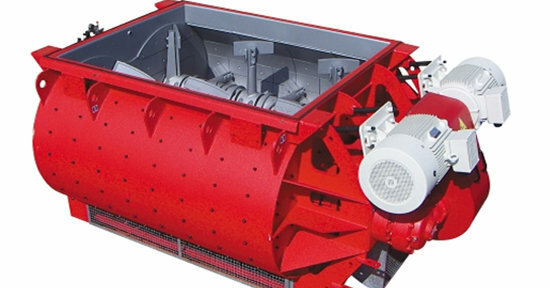 Single or multiple planetary mixer or twin-shaft mixer configurations. The standard Decumulator precast batching plant represents a base model you can easily expand in the future without a major retrofit or complete rebuild. We source batch plants built to match your production needs. Stock solutions aren’t for everyone, so FESCO Direct specializes in custom solutions. You provide us with the material type, flow characteristics and general properties (if necessary) and our team of engineers and vendors will design and manufacture the equipment or systems you need to unload, move, store, mix, load and handle whatever material you are working with. If you are concerned about protecting the design, idea, and technology of the plant we put together for you, we will not share the designs with others or manufacture the equipment for others without your express permission. FESCO Direct hosts the used concrete equipment marketplace, a used concrete plant brokering service offering sellers free concrete plant listings. Prospective buyers can search over 100 used concrete plants available for sale. Ready Mix Plants: These concrete plants have no mixer. Materials are weighed and loaded into a mixer truck for mixing and delivery. Central Mix Plants: These plants have a mixer. They’re mostly used for paving projects because mixed concrete can be quickly loaded into a dump truck for transport to a slip-form paver or concrete finishers. Precast Plants: These plants have a mixer and can range from small plants producing a small amount each hour to very large, high-production plants. The concrete produced is typically used at the plant location. What is the difference between Accumulative Weighing and Decumulative Weighing Concrete Plants? Accumulative Weighing Concrete Plants. 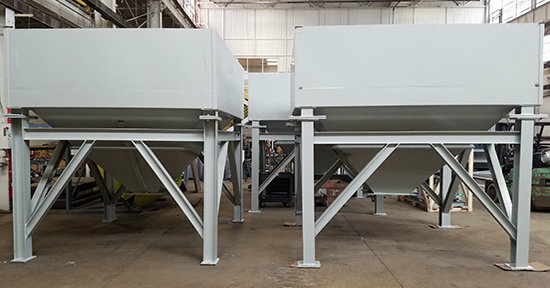 With these plants, aggregate is stored in an overhead bin, then dropped into a hopper on load cells (scale) until the desired amount of materials is reached. The material is then discharged onto a transfer conveyor. Benefits – Accumulative plants usually have large bins (120+ tons) allowing for lots of material storage. Because these plants are frequently enclosed, they offer better control over aggregate moisture and temperature and can operate in all weather conditions. Decumulative Weighing (Reverse Weighing) Concrete Plants. These concrete plants do not have overhead aggregate storage. 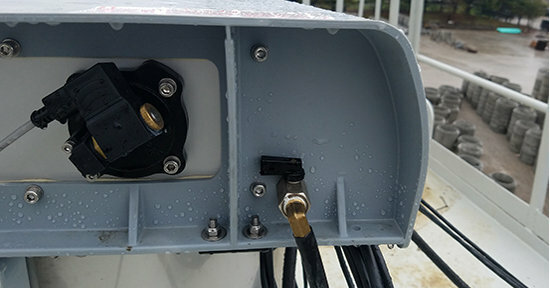 The material is placed in a hopper that sits on load cells (scale). The scale opens to discharge material onto the transfer conveyor until the desired amount of material has been discharged. The SmartMix twin shaft concrete mixer has an extra-rigid frame and a work-proven power train with shaft seals built to last the life of the concrete mixer. Ideal for high-speed production of wet precast, SCC and ready-mix concrete, the SmartMix twin shaft is available in sizes ranging from 2 cu yd. output to 6.5 cu yd. output. The SmartMix planetary mixer’s wide pan and multi-star mixing yields fast, thorough mixes with no dead zones. Large, fully sealing discharge doors and scooped paddles discharge even SCC with ease. Low sidewalls and wide open access covers make for easy and safe access. Available in 10 sizes from 1/3 cu yd. output to 4 cu yd. output. 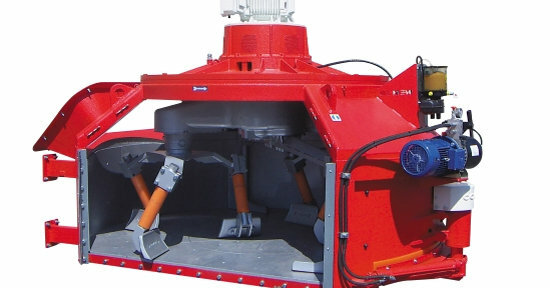 Adding a high-powered automatic concrete mixer washout system dramatically reduces the man hours used for cleaning and lowers your maintenance costs. With the time saved on cleaning, you can easily gain an extra 15 to 30 minutes of production time every day. Let us know what type of mixer you’re using and we’ll put together a quote. 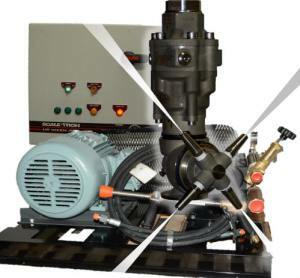 FESCO Direct sells the forced air Aggre-Flo® and steam generating Steam-Flo ® aggregate heating systems. Aggre-Flo® available in 500,000 to 2,000,000 BTU/hr net heat output. 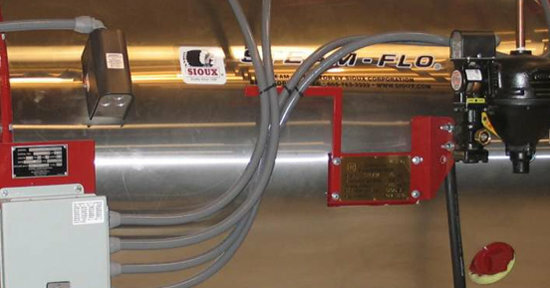 Steam-Flo® available in 11 to 100 Boiler Horsepower. FESCO Direct offers several systems from BFK Technologies for reclaiming unused concrete. From the affordably priced Model M6 with a reclaiming capacity of 2-3 yd./hr. to the Model B Snubnose² with the capacity to have 4 trucks discharging at once, these systems efficiently separate unused concrete back to its original aggregates for use in future mixes. FESCO Direct supplies radial stackers, stationary conveyors with turnheads, inground, and custom feed systems for all brands and models of concrete plants. Standard feed systems have 15-ton bins, but can be expanded to 30 or 40-ton bins or more. We also design and build custom systems to your specifications, including drive-over and back-in. 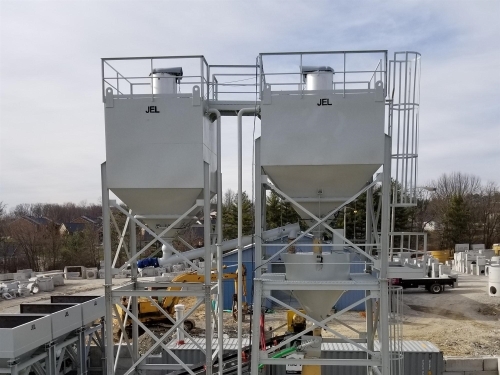 FESCO Direct sells and sources several solutions for dust collection--from the Ready Mix Load Out Dust Collector DC6 by JEL Concrete Plants to the Hopper Top Weigh Hopper Venting Filter and the Zero SiloTop® Venting Filter by WAM ®. These filtration solutions are all proven, low maintenance and adaptable to virtually any concrete plant. Contact FESCO Direct to talk about the concrete plant & equipment you need to get it done. 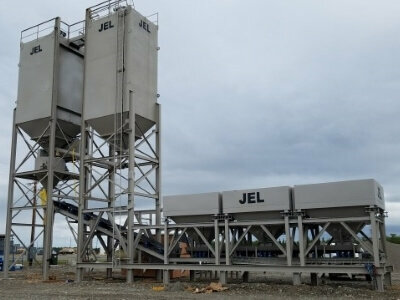 JEL Concrete Plants is our partner concrete batching plant manufacturer - from stationary precast plants to fully mobile ready mix batching plants. Contact FESCO Direct and we'll help you source the equipment needed to build your plant exactly to your desired specifications.